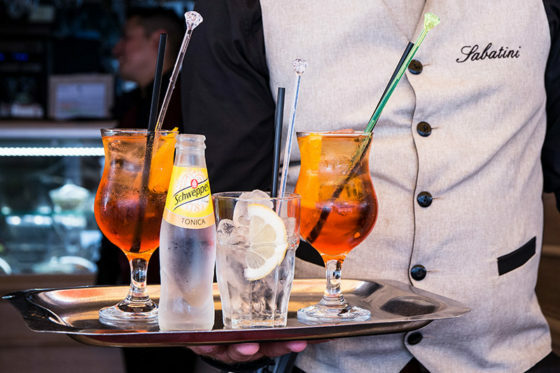 Sabatini is also the Aperitif and Dinner Opener in the heart of Trastevere with outdoor tables. from Sabatini to Trastevere there is so much more flavour! Among the “things to do in Rome“there is certainly that of allowing oneself a few hours (at least, in life!) in the heart of the Trastevere nightlife, perhaps trying to live it like a local, chatting with exhibitors and natives of the area, in the comings and goings of tourists to whom the ancient district is open every day, generous and fascinating. Crossroads between art and nightlife, in a historic square overlooking contemporary Rome, Sabatini is the perfect place to enjoy an aperitif or a cocktail, accompanied by traditional tastes reinterpreted in a modern way. From the Japanese experience, the Sabatini have enriched their gastronomic offer with Tastings, a different way of serving food learned from the Japanese: smaller portions to allow guests to create their own menu choosing their favourite dishes. You can taste a selection of our specialties during the same meal – at dinner or lunch, but also for the apertif; moreover, you can complete your tasting path with a glass of good wine choosing more wine labesl and matching every course with the more appropriate wine. 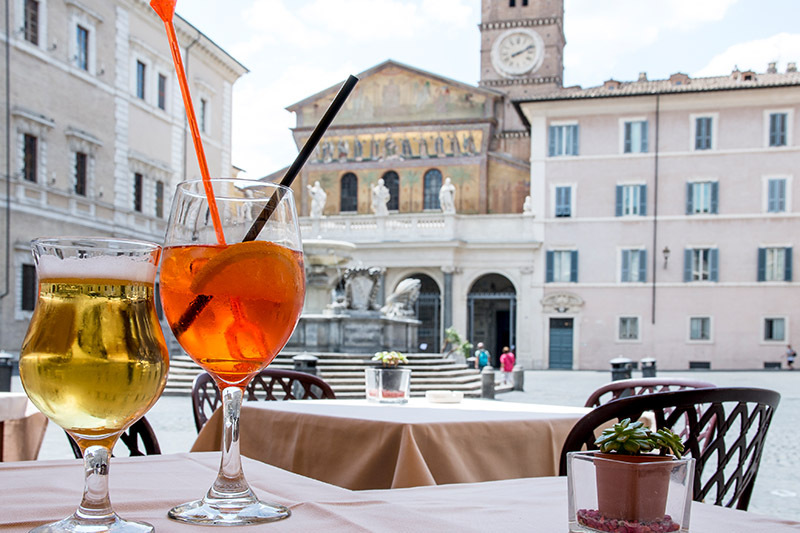 A synesthetic taste experience, which together with the sense of smell and flavour of the diner, also involves the view: starting from the scenario that widens the view of one of the most beautiful squares of Trastevere, where still today dominates the longest lasting fountain in Rome, to the gourmet composition of the traditional Roman cuisine.